When I walked out the door of my townhouse early on Saturday morning, the skies were overcast and foggy. The air was filled with the kind of humidity more appropriate for a rainforest in South America than the suburbs of Eastern Pennsylvania. The sidewalks were still damp after a day and night of heavy rain. In short, it was a perfect day to drive out to Berks County to shoot a waterfall. 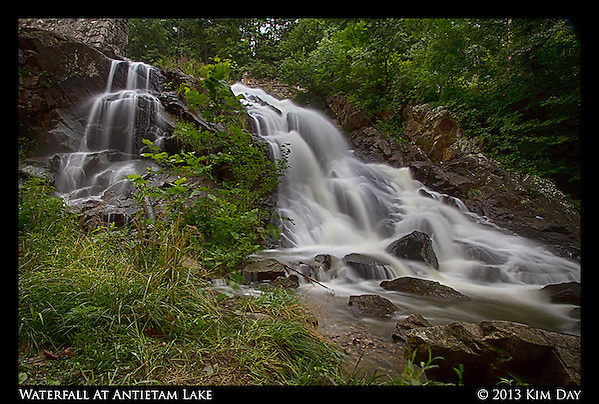 After about an hour’s drive, I arrived at Antietam Lake to a meetup with a Reading area photography group. We picked our way down a damp rocky path towards a waterfall at the base of the Antietam Lake dam. 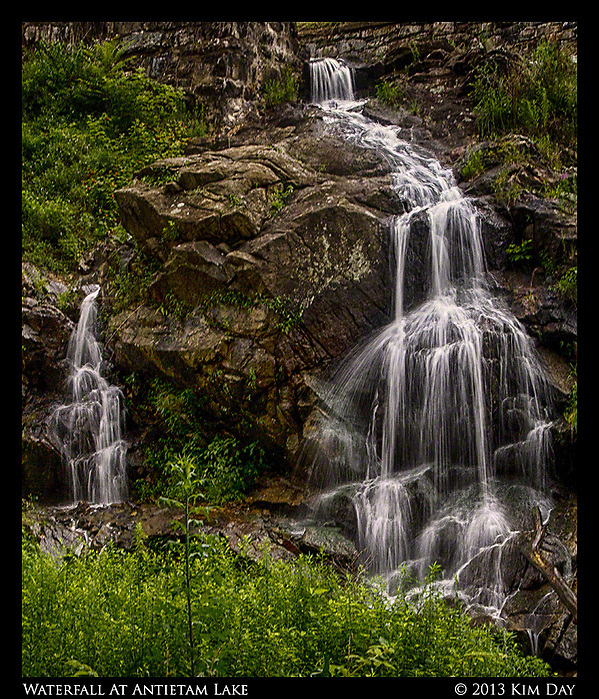 Surrounded by lush and green vegetation, the waterfall was loud and swiftly flowing after the incessant rain of the last week. However, it made for beautiful photos. This entry was posted on Sunday, July 14th, 2013 at 11:52 PM. 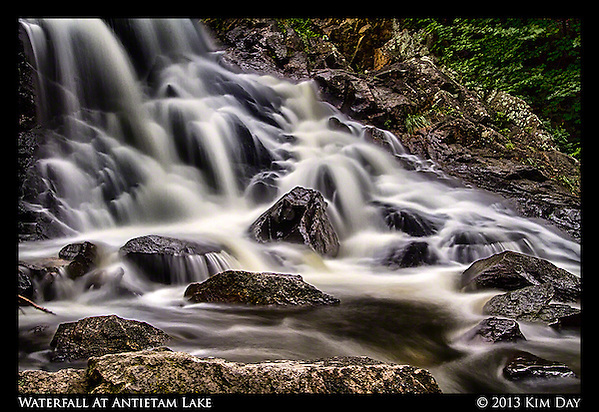 It is filed under Globetrotting: Near and Far, Nature & Animals, Poconos and tagged with Antietam Creek, antietam lake, antietam waterfall, Berks County, HDR Photography, PA, Waterfalls. You can follow any responses to this entry through the RSS 2.0 feed.